And sadly, we see and hear about the casualties of war that seem to occur every day. From the 624 acres of Arlington Cemetery, which is filled with the 400,000 graves of the men and women who gave their all over the last 150 years, to the soldiers who arrive in a pine box every day, draped with an American Flag after losing the fight to ongoing war in third world countries who know nothing more than to fight every day. These brave men and women can never be repaid for their service to our country, for it takes a spectacular human being to put their life on the line every day for our freedom. While casualties of war are expected along the way, it still hurts our hearts to see a life cut short. But what about the silent casualties of war? The ones who are so eat up on the inside with battle scars that they never recover and eventually succumb to the internal injuries. Sometimes the greatest wounds a veteran carries are the ones you can’t see, for the war isn’t over for some just because the guns stopped firing…. 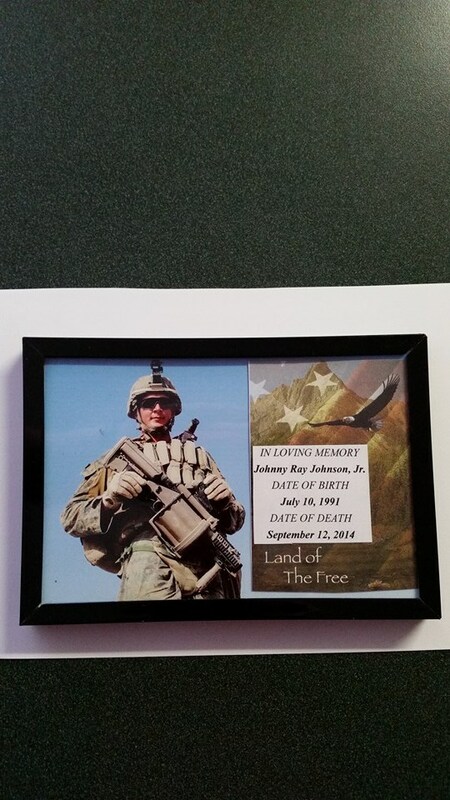 On September 12, 2014, Johnny Ray Johnson became a silent casualty of war at the tender age of 23 when he took his own life, ending years of a tormented soul all because the weight of heavy combat was too much for him to bear. He was a fun loving, happy person, loved by all who knew him, a loyal and loving son, faithful friend, and an exceptional soldier. He had a big heart, and loved fighting for his country, but he was never built to become the callous war machine he needed to be when the situation called for it…and he didn’t know how to lay it down either, when it was all over. It had always been Johnny’s plan in high school to become a career Marine. After begging his mother, she reluctantly signed for him to enter the Corp at age 17. So, after graduating from Clay County High School, he was off to Basic Training on Parris Island. He set out with an eagerness to save the world, but the boy who would return would never be the same…. After his Leave, Johnny went back to active duty, serving 8th and I at the White House for the next 2 years, which included ceremonial events, guard duty for the White House and diplomats. The greatest task of this duty he took to heart was with laying a fallen soldier to rest. 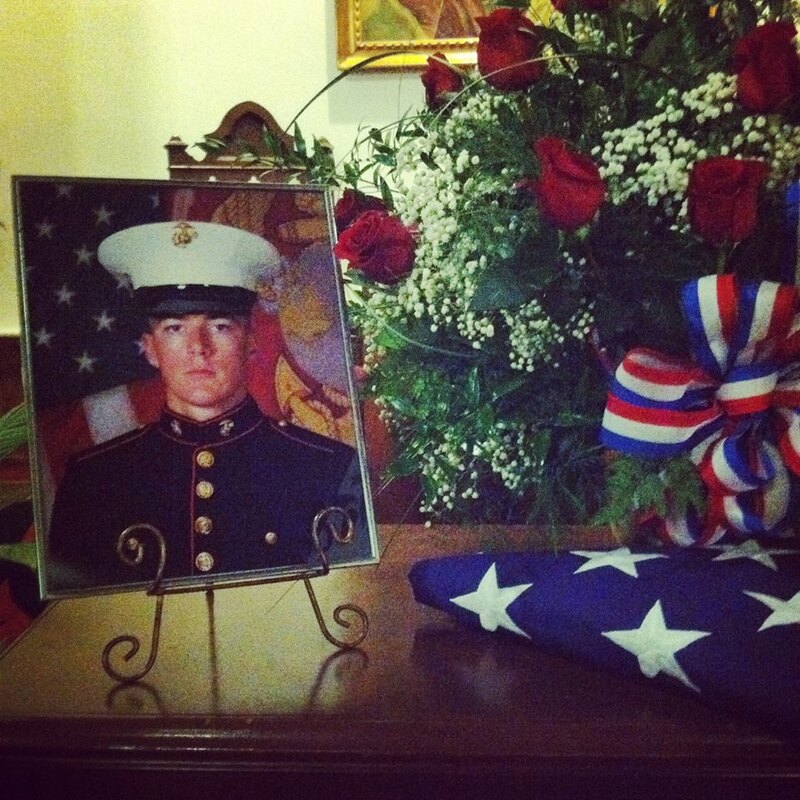 He took special care of the military families who had lost a loved one, because that’s just the kind of person he was. Johnny enjoyed his assignment in D.C., and was offered it again, but he felt it was his duty to fight, just like he had planned when he signed up, so he went up for deployment. Johnny was deployed to Afghanistan soon after, where he would spend a little over seven months in heavy combat zones. Johnny came home after his deployment, but he was never quite the same. Johnny seemed even more troubled when his step father, Jerry Wesley was stricken with cancer of the head and neck in the midst of his active duty. He seemed to be riddled with guilt because he wasn’t able to be there with the only man he had ever known to be his father. Johnny came home whenever he could, and each time he did, his mother watched the fun-loving son that she had always known fade away a little every time. And as much as she tried, he would not talk about it. When his troubles threatened to overcome him, Johnny reached his breaking point and just wanted out of the Corp, no matter the cost. Johnny decided the only thing to do to end his torment was accept an Administrative Separation, and hopefully leave the pain of war behind him. He lost his GI Bill and healthcare, and part of his VA Benefits. But the voices of war continued on in his head, and his shoulders were weary with haunting battle scars he couldn’t seem to shake. But he was plagued with the haunting memories and night terrors that were always there and nothing seemed to help. He began a dangerous downward spiral to forget this pain, but that only made matters worse. 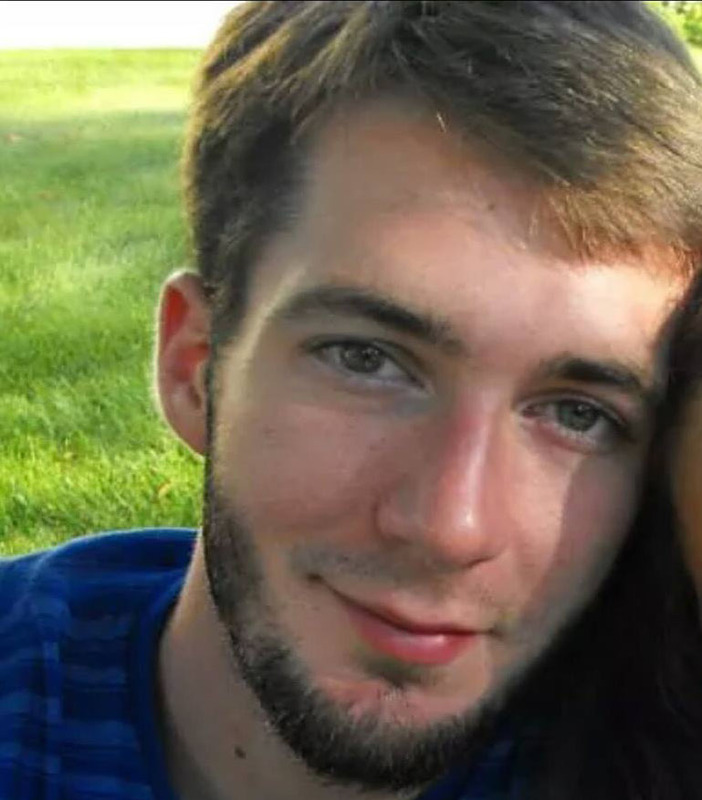 He eventually opened up about a couple of disturbing events to his mother of where he had to take a life at one time, and another where they were under an ambush situation involving heavy fire and he had to call in for air support. In the mass confusion, he was worried that he may have given the wrong coordinates. He was haunted that possibly innocent lives were lost in this situation. Johnny was formally diagnosed with PTSD (Post-Traumatic- Stress-Disorder) only a week before he died. He was prescribed an anti-depressant, but would not live long enough to see if this would cure his pain. Five days later, his parents would find him in his home with a gunshot wound straight through the heart, as if he were trying to free the pain once and for all from this area. Donna performed CPR on her son until first responders could arrive, but it was too late. “In my heart, I knew it was too late, but I had to do something, I couldn’t just stand there”, she said. After Johnny’s death, Donna was surprised to receive a letter from one of Johnny’s fellow soldier’s, who had served by his side and apparently knew him well. She shed tears while reading this letter, but was comforted to know that somewhere in the world, was a person who actually did know what kind of wonderful man her son really was. The long letter went into detail about the comraderies they had shared throughout most of their military career and how much Johnny meant to him and all those he served with. Pre-military, Johnny Ray Johnson was a cheerful, joyful person who always into some kind of harmless mischief and looking for a laugh. This boy is the one who Donna tries to cling to in her memory, but it is hard to do when she can’t get the images of the haunted man who took his own life out of her head, all because he didn’t know what to do with the shell of the person he had become. It’s a bitter struggle for her every day. “It’s a day to day struggle, and sometimes it’s minute to minute” she says. Editor’s note: Let me just say that I have the utmost respect for those who serve in the military, but this was a story I thought needed to be told. You can argue and say that maybe Johnny just wasn’t cut out to be military material, and maybe that’s true to an extent, but he wanted to serve his country and that’s a trait to be admired. The problem is that these are kids we are sending into combat, and we expect them to immediately become men. Inside every soldier who has been at war are visions he/she cannot silence. You may not see the churning from the outside, but it’s always there. God Bless our Soldiers for everything they do for us just so we can taste the sweetness of freedom. It seems a mere Thank You is not enough. Johnny left this world a Decorated Veteran; serving in Operation Enduring Freedom and Operation Iraqi Freedom and had been awarded the Combat Action Ribbon (Afghanistan), Good Conduct Medal, National Defense Service Medal, Afghanistan Campaign Medal with star and the Global War on Terrorism Service Medal. Happy Veteran’s Day, Johnny, Thank you for your service…..